There is tantalizing evidence that microscopic life may exist on Mars. Human contact is likely to result in its mass extinction. 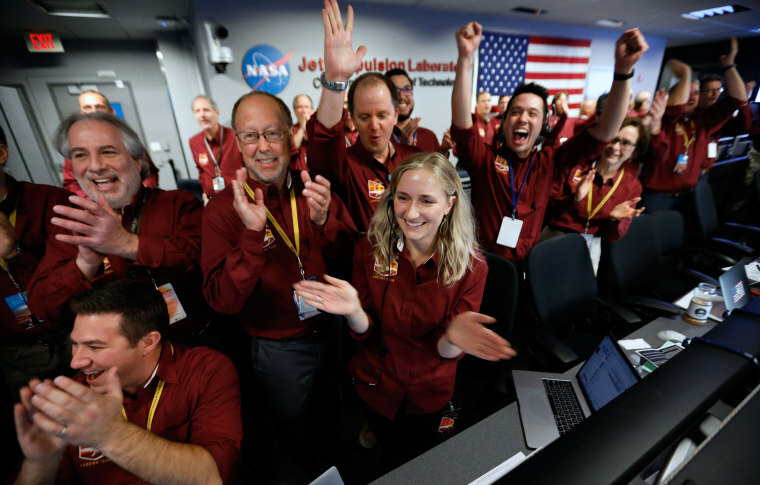 Millions of us paused on Monday afternoon to watch NASA’s InSight lander touch down on Mars and begin the first-of-its-kind mission to probe that planet’s deep interior. InSight will be listening for Marsquakes, measuring the rate at which heat flows out of the planet and determining how much Mars’ polar axis wobbles as it orbits the sun. Planetary scientists will use all of this new knowledge to improve our understanding of the size of the core and the thickness of the mantle and crust of Mars, as well as to determine its interior temperature. Then in 2020, the European Space Agency will launch the ExoMars Rover, and NASA will send the Mars 2020 Rover. Both missions will focus on astrobiology, looking for signs of life; the Mars 2020 Rover, for instance, is currently set to explore the Jezero Crater, which once was a 30-mile wide lake. Our curiosity about our neighbor is understandable: Mars is the closest place in the universe where extraterrestrial life might exist. On a warm and wet Mars with a hearty atmosphere — as it was several billion years ago — life could have flourished on, above and below the Martian surface. As some of the atmosphere of Mars slowly trickled off into space, the atmosphere grew thin and cold, and the large bodies of liquid water that once covered much of Mars disappeared from the surface. The atmosphere also slowly lost the ability to protect the surface from dangerous radiation from space. Thus, life on Mars, if it existed at all, would have sought safe havens in caves and underground. Descendants of those ancient Martians might still be living off subsurface sources of water and the energy that flows upward from the rocks deep inside the planet. Our rovers and landers — Spirit, Opportunity, Curiosity, Insight and Mars 2020 — are a decades-long program to robotically explore Mars to search for both signs of ancient life and evidence for living, breathing Martians. Almost certainly, any such modern Martians that might exist are no more advanced than bacteria. And, in fact, some scientists believe they have already uncovered strong evidence for bacterial life on Mars, both past and present, in the form of small amounts of methane gas in the atmosphere of Mars. Yes, we’re talking about nothing more biologically advanced than methanogenic bacteria, but those little creatures would be Martian bacteria. If any of these missions finds more concrete evidence of life, even of the microscopic variety, we all will face a moral and ethical quandary. Do microscopic and presumably non-sentient beings on another planet have the right to be protected from us? Is Mars their planet? The possibility that Mars could be inhabited raises important questions regarding the current space race to Mars, because we know that, once we establish a human presence on that planet, we likely will drive native Martian life to extinction. Thus, we must ask this question: Do we have the inalienable right to put Martian life at risk? Since the dawn of the space age, scientists have seriously debated the threat of biological contamination of other worlds. NASA hosted meetings as far back as 1959 to debate the necessity of sterilizing whatever might be sent to other worlds. Since then, all planetary exploration missions have adhered to sterilization standards that must be balanced with scientific goals, i.e., with limitations of not damaging sensitive equipment, which could potentially lead to mission failures. Those protocols are designed to minimize the chance that terrestrial bacteria might hitch rides to other planets on robots like InSight. They were not, however, written to prevent humans from hitching rides on interplanetary spacecraft, and humans are contaminant factories. Our food, habitats, life support systems and tools cannot be sterilized. With any attempt to colonize Mars, contamination is inevitable. Players both public — NASA, the United Arab Emirates’ Mars 2117 project — and private — SpaceX, Mars One, Blue Origin — are already planning manned missions to Mars and even thinking as far ahead as colonization. Perhaps, instead, we should put human exploration of Mars on hold until we are absolutely positive there’s nothing already living there. We have the ability to send increasingly intelligent and capable rovers to Mars. Those rovers could explore caves, drill deep cores in the polar ice caps and seek additional evidence that will either reveal the extent of native life on Mars or offer proof beyond a reasonable doubt that no Martians exist. Given that we have the technology to determine whether Mars is inhabited without placing human footprints in the Martian soil, I believe we should let InSight and other robotic landers explore Mars for us before we allow any company or country to send human explorers and colonists to Mars. Once we can answer the question of whether life exist on Mars with certainty, we will have the knowledge we need to begin to debate whether we humans have the right to set foot on Mars. David A. Weintraub is a professor of astronomy and of communication, science and technology at Vanderbilt University. He's also the author of "Life on Mars: What to Know Before We Go" (2018).